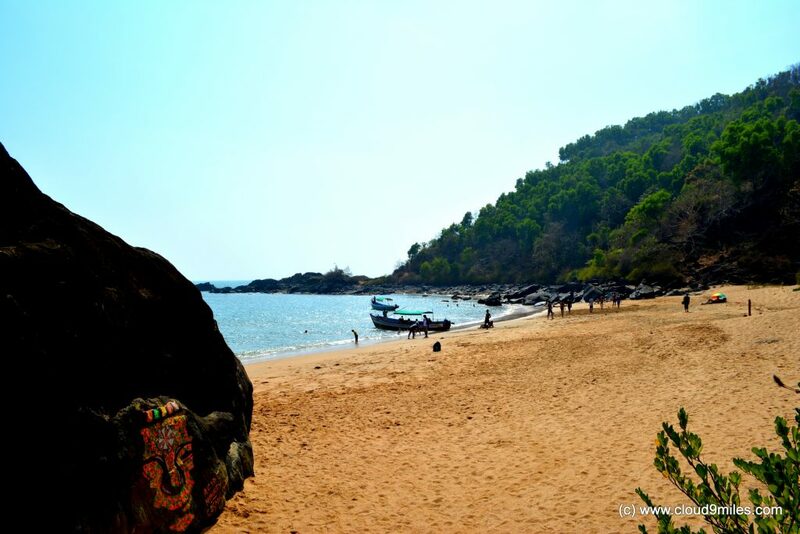 The virgin beaches of Gokarna! 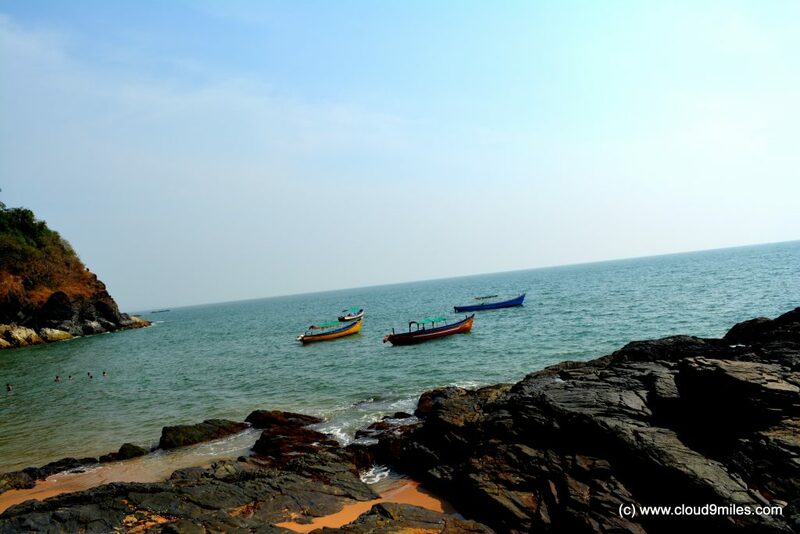 Gokarna is a small temple town on the western coast of India in the Kumta taluk of Uttara Kannada district of the state of Karnataka & is one of the seven important Hindu Pilgrimage centers. The main temple and deity is Lord Shiva, also known as Mahabaleshwara and is believed to be original image of Lord Shiva’s linga (Atmalinga). 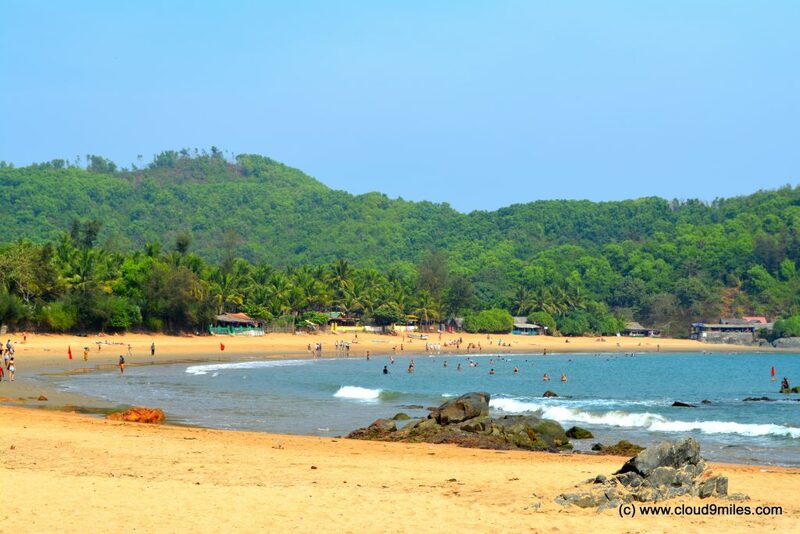 Gokrana has numerous unspoiled beaches and attract lot of western tourists mainly due to its laid-back and rustic nature. It has become second home for them after Goa. The influx of western tourist has led to development of place but still the beaches are virgin and pastoral due to no direct accessibility. 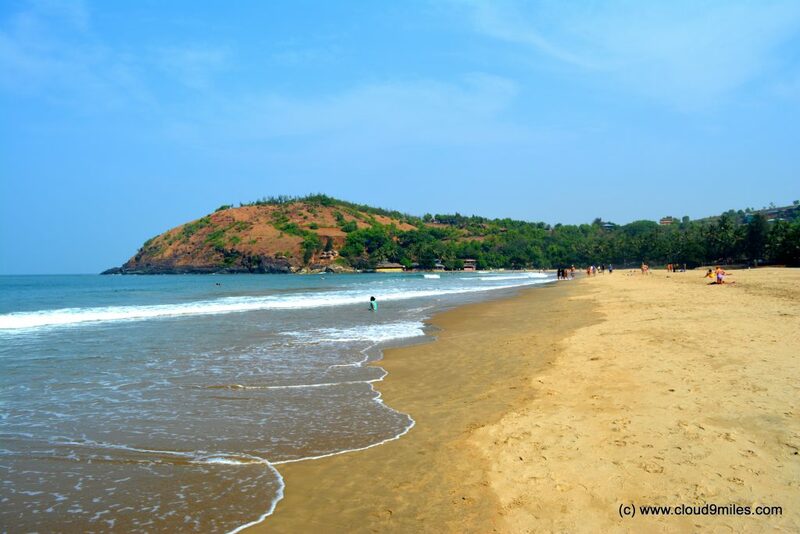 The Gokarna beach forms the coast of the town and is followed by Main beach in northern direction while the other four beaches lie to the south. 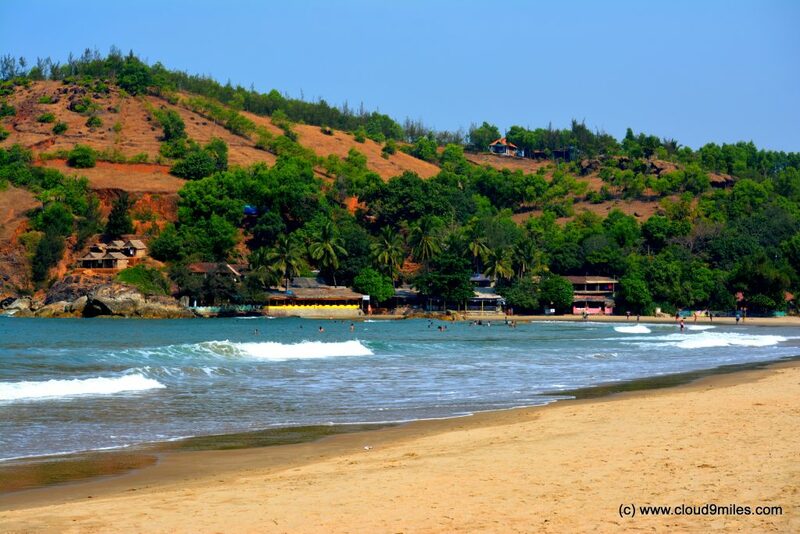 Gokarna Main Beach is in town and is mainly used by Indian pilgrims. 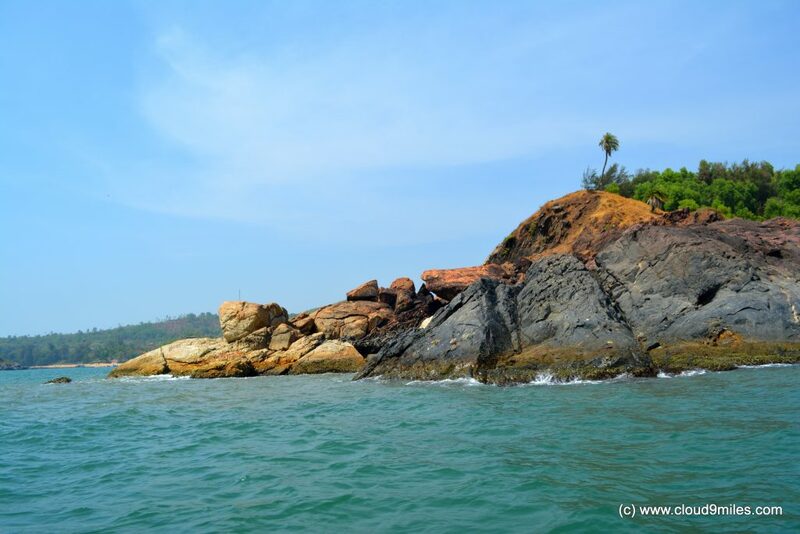 After a rejuvenating stay at Murudeshwar, we left for Gokarna @ 10 a.m. We had not booked any accommodation and set our direction towards Paradise Beach. 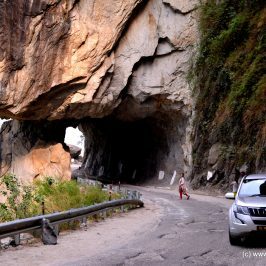 It was a 70 KM drive of 1.5 hours through the scenic winding path, with the rocky mountains, backwaters, Western Ghats on one side and the Arabian Sea on the other. We reached the dead end of the road from where the trek towards Paradise beach starts. We immediately booked a hut at available at Belekan Beach and settled for the deal without wasting our time for finding another stay option as we were very satisfied with the location. 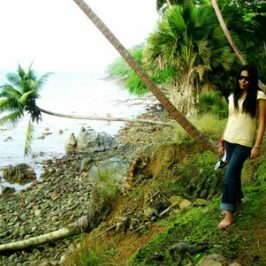 Belekan beach was also beautiful and very soothing at the confluence of river with clean water. 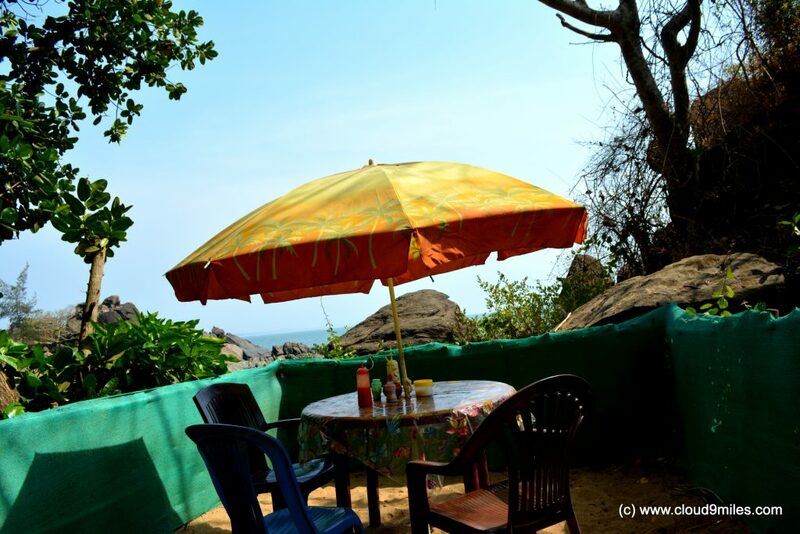 A fantastic view from the beach side restaurant coupled with local delicacies. 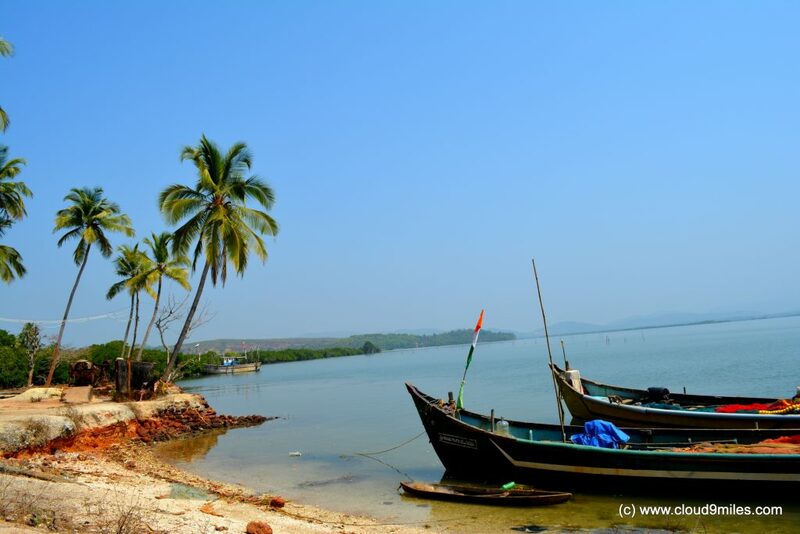 We parked our vehicle in the vicinity and booked a boat to hop on and hop off on three beaches due to scarcity of time. In the meanwhile we finished our lunch before setting off for the boat tour. 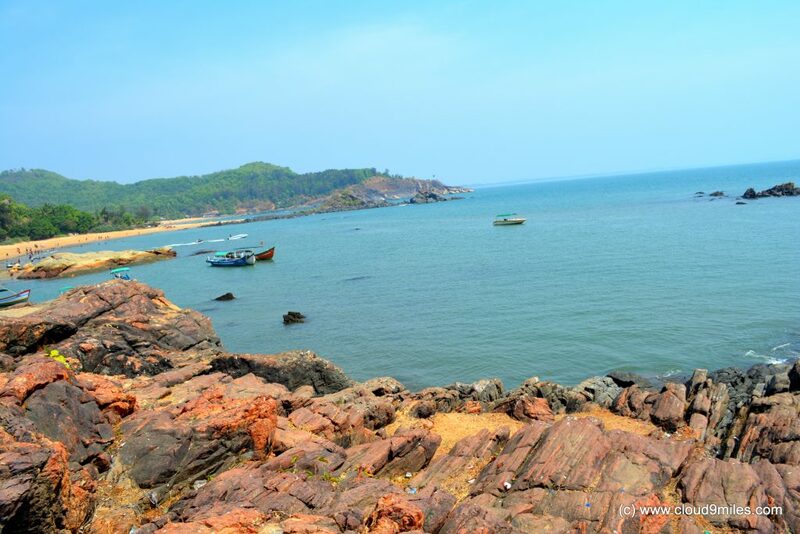 Gokarna and Kudle beach are west facing. 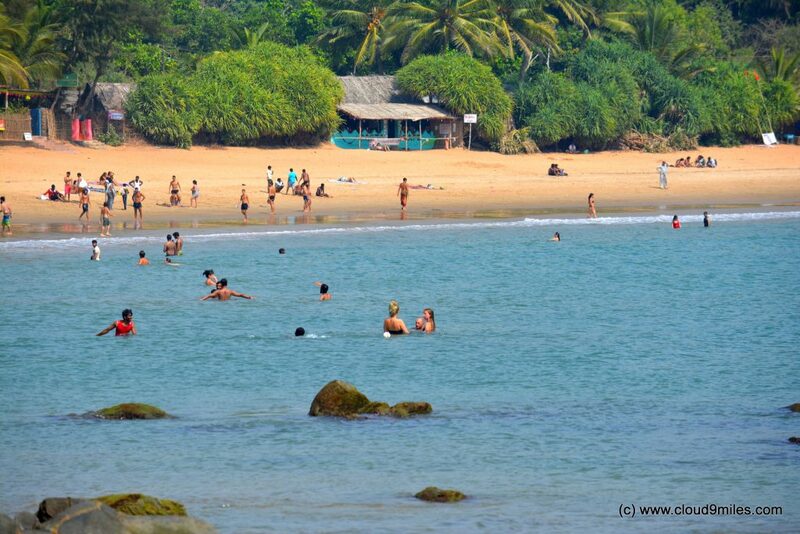 Om beach, Half moon Beach, Paradise Beach (also known as Full moon) and Belekan beach are south facing. 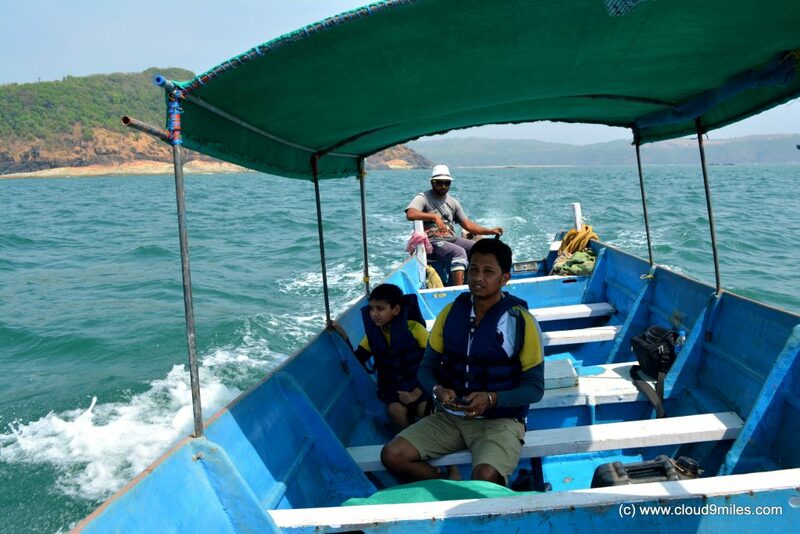 We started our boat ride from Belekan Beach and slowly we started venturing into sea where we could feel the waves of the sea. The clear blue water was reminiscent about the purity of the place. 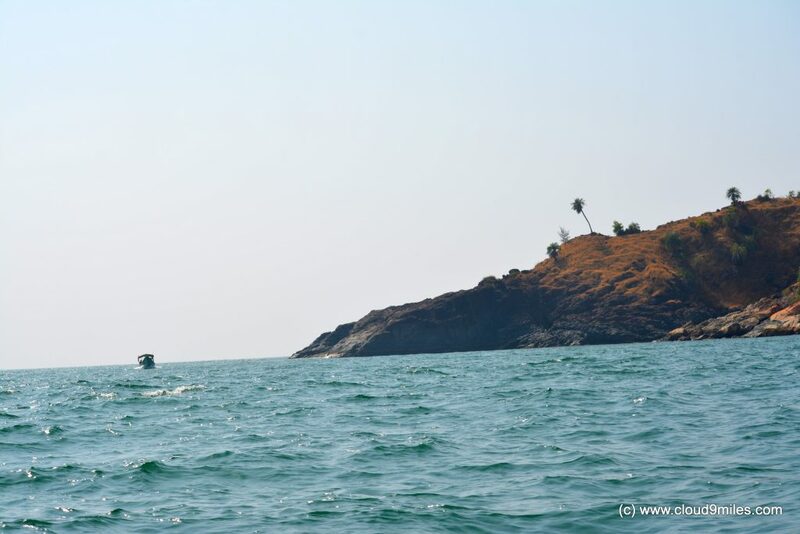 A soothing breeze, clear blue waters, flying fishes, and hills were all that was required for a perfect ride. We headed towards Om Beach first as nothing specific was planned. 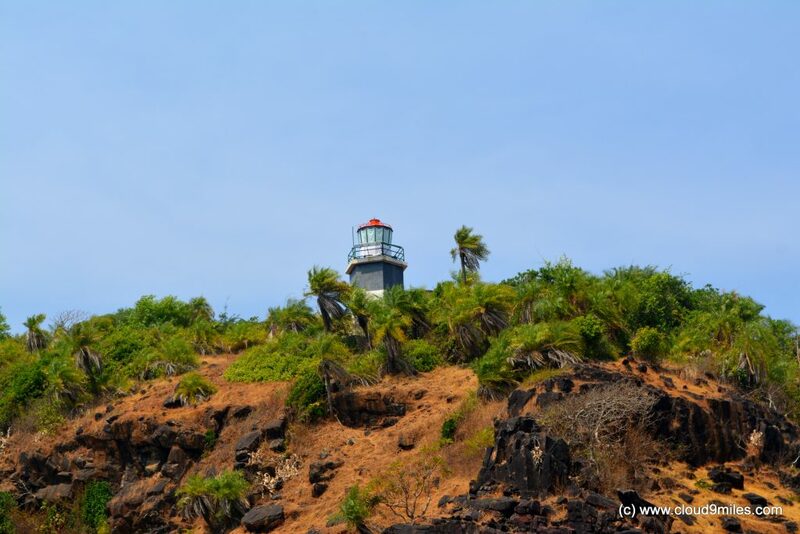 The light house was standing tall at the cliff. 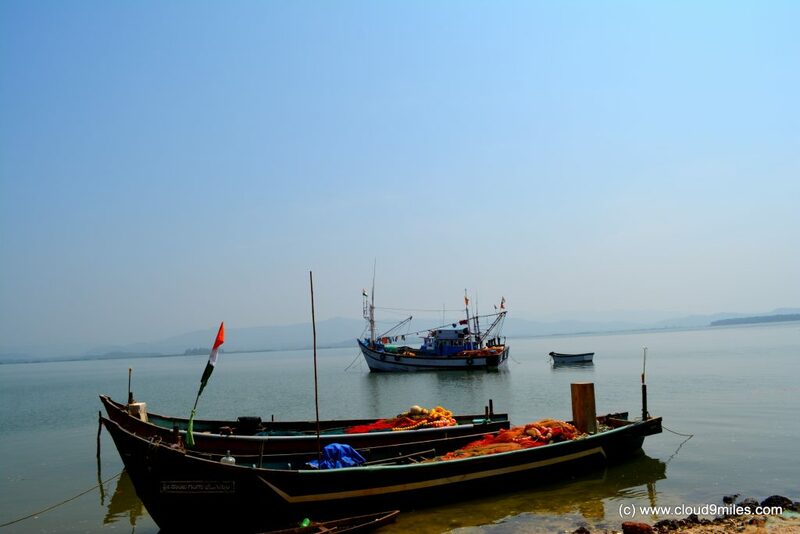 The trekking route as well as trekkers can be clearly seen from the boat. 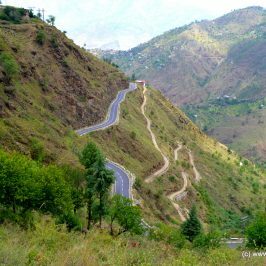 The view from the trek would be astonishing and we have decided to cover the same in future. The boatman informed us that all four beautiful beaches i.e. 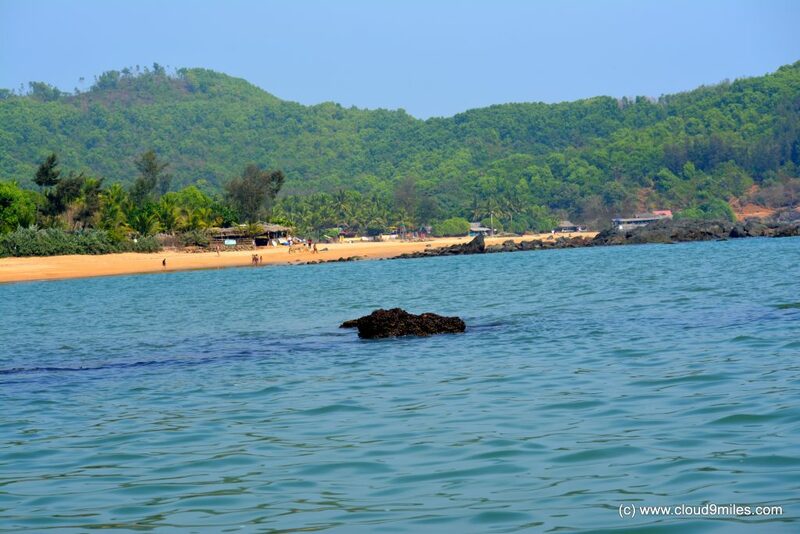 Paradise, Half Moon, Om, & Kudle beach are connected by trek and there is no direct accessibility by motorable roads. 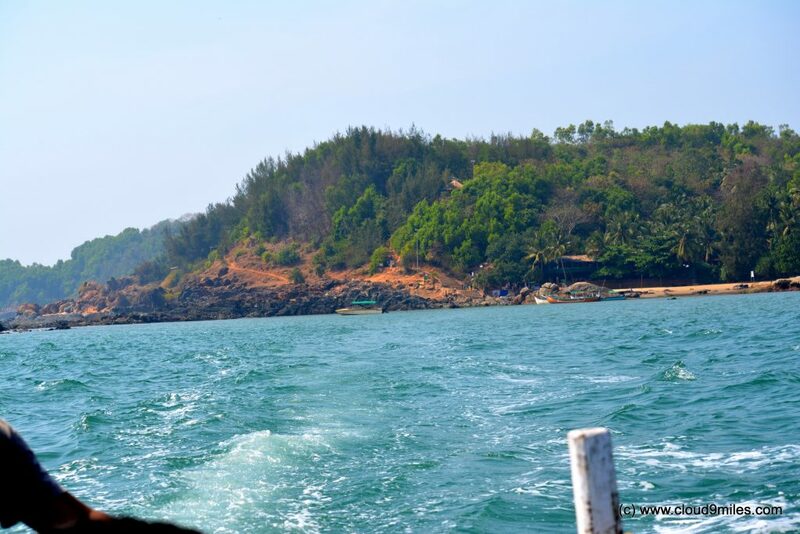 It was a magnificent boat ride with scenic view all around and in 15 minutes we reached Om Beach. We alighted at the northern end of the beach that was rocky. 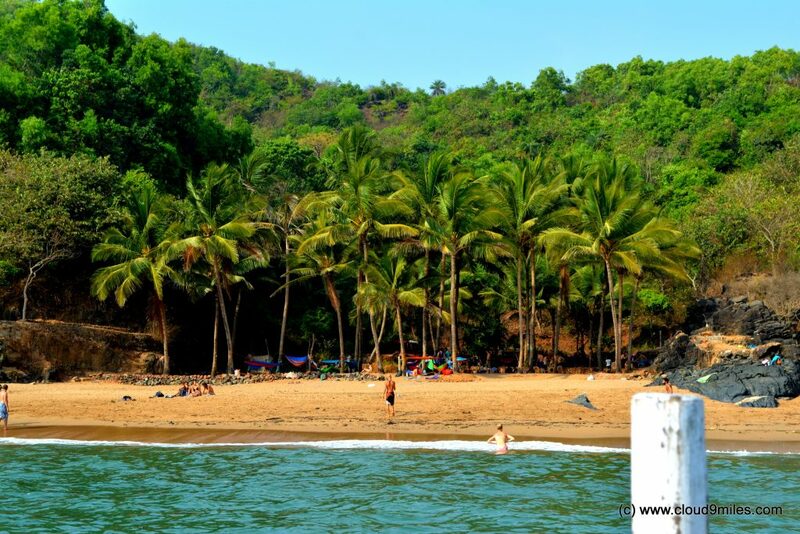 Om Beach is the most popular beach which is around 6 KM from Gokarna town along a muddy hill and is accessible by rickshaw or foot. 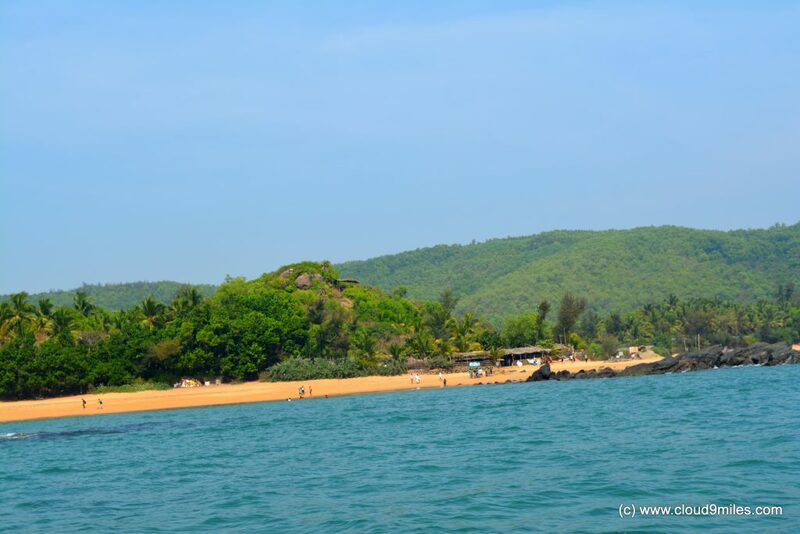 Om beach is named so because it is shaped like the auspicious “ॐ” Om symbol if seen from a height. Despite its popularity the beach is not much crowded but quiet and peaceful with lots of western tourists enjoying the beautiful mix of sun and sand. 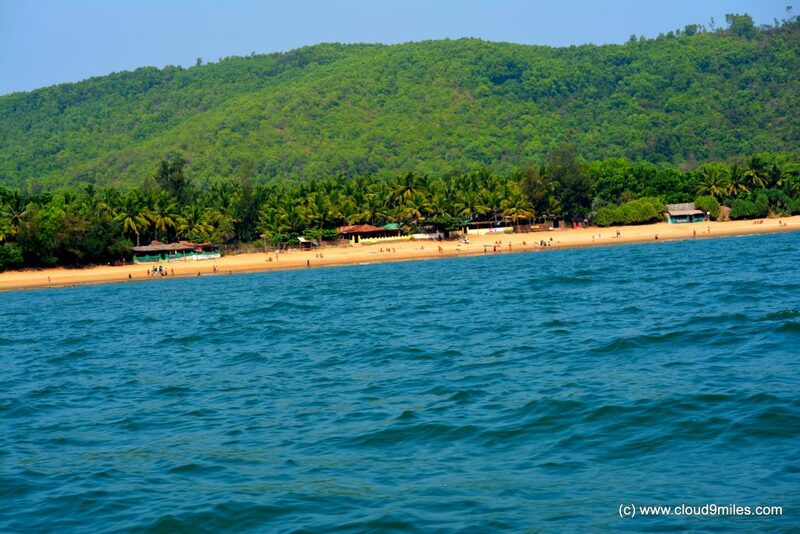 It has a few shacks and eateries, and also boat service to other beaches. 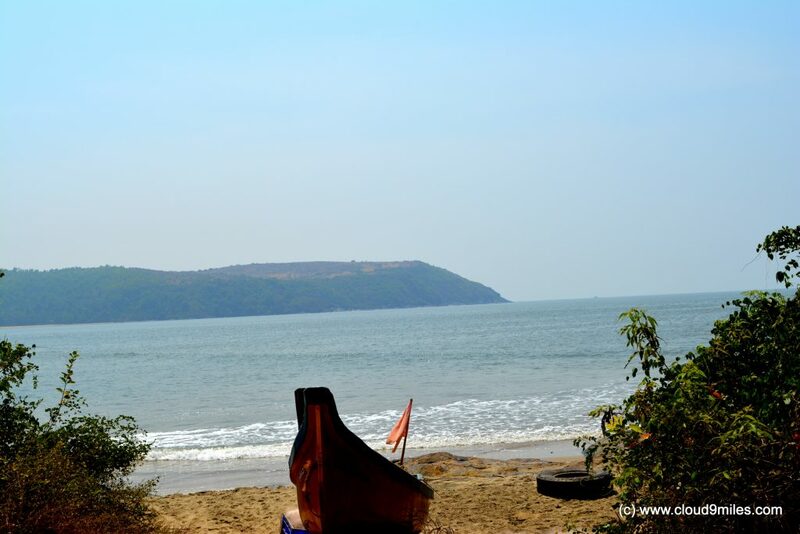 The beach is quiet and peaceful with mesmerising view of the sea and hills. Limited water sports option is also available at Om Beach. We took a stroll on the calm beach and spent some time before boarding our boat for next destination. We were impressed with the sheer beauty of this place. 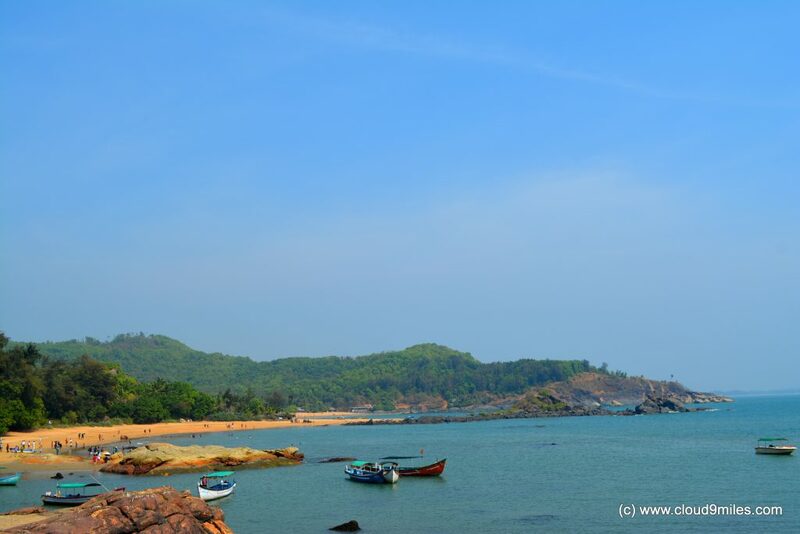 Half Moon beach is separated by a small cliff from Om beach and is accessible by trekking or boat. 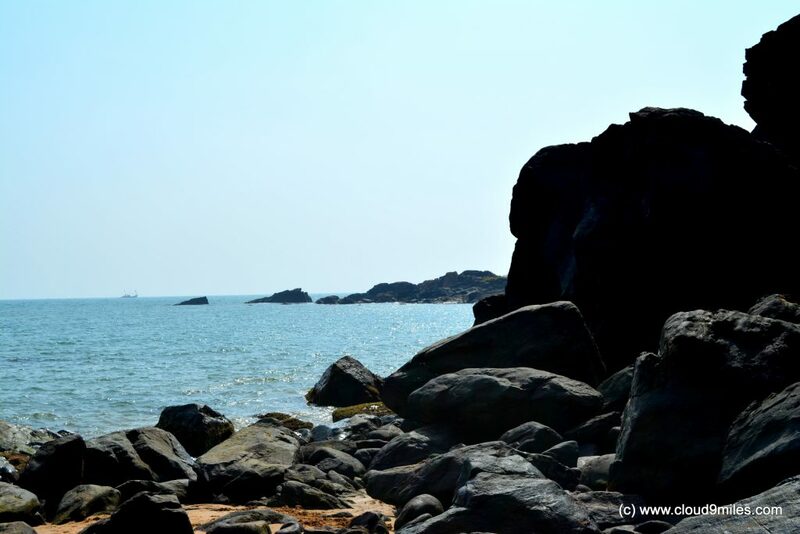 It took us 10 minutes to reach Half Moon Beach and more nearer we came near the beach more awestruck we were with the immense beauty of this natural masterpiece. A very small cove with a lovely stretch of golden sand and clear blue water. 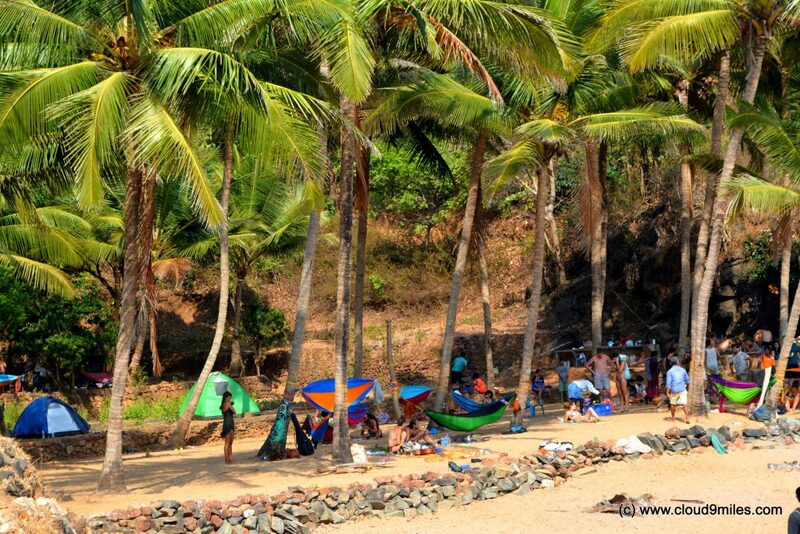 Another beautiful aspect of this beach is that tourist can set up camp here for overnight stay. Get your own camping gear and pitch it on this beautiful beach. We spent some time on this beach and boarded our boat towards Paradise Beach. 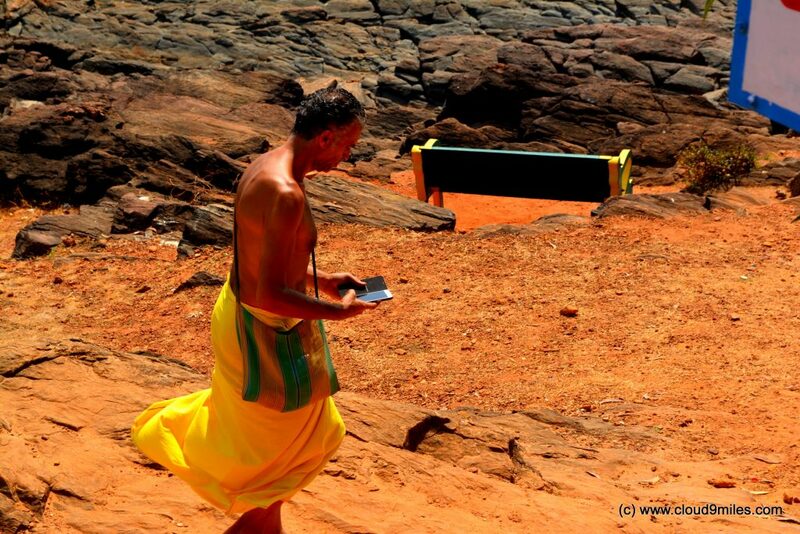 Paradise Beach – Nomads dream! 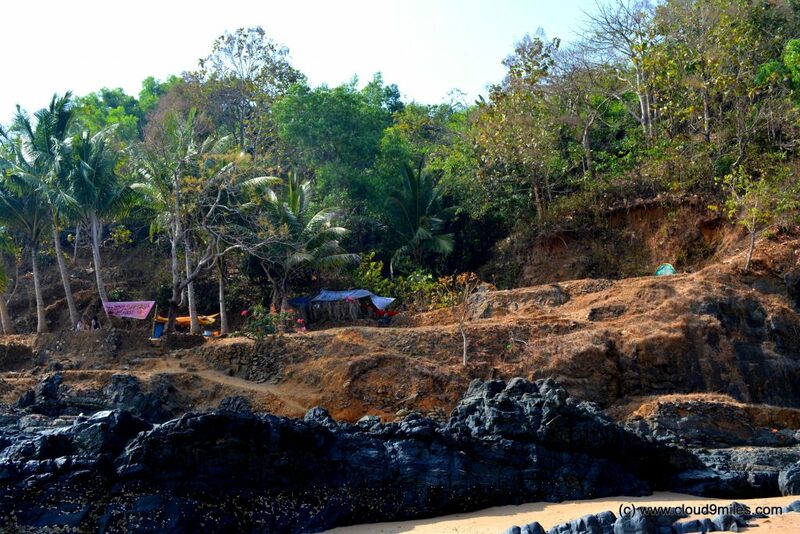 Paradise Beach is a mix of sand and rocks, and a haven for peace seekers. 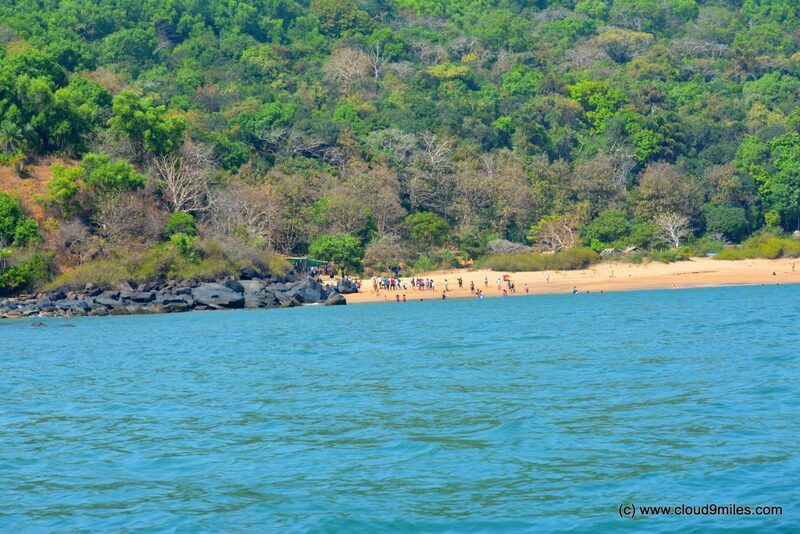 To reach this beach, you either need to take a ferry (not expensive) or trek through the forest. One can spend months on this beach by setting up their own tent and hammock. 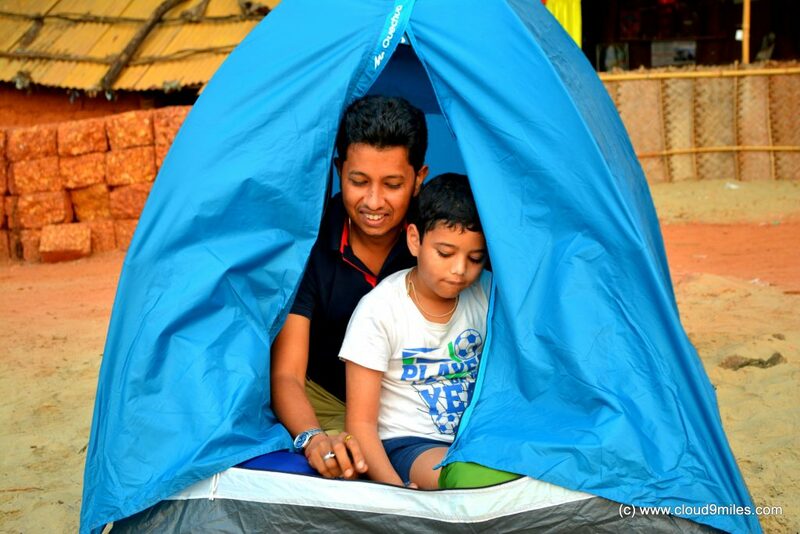 Western tourists stay here for months without any basic facilities by setting up their own camp. We saw numerous tents pitched at various places at Paradise Beach. 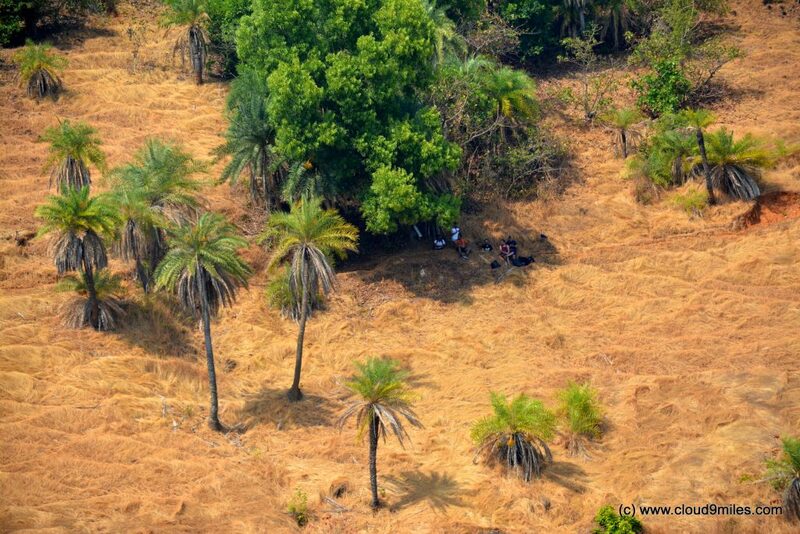 A local person provides them lunch and snacks till evening and reasonable price. 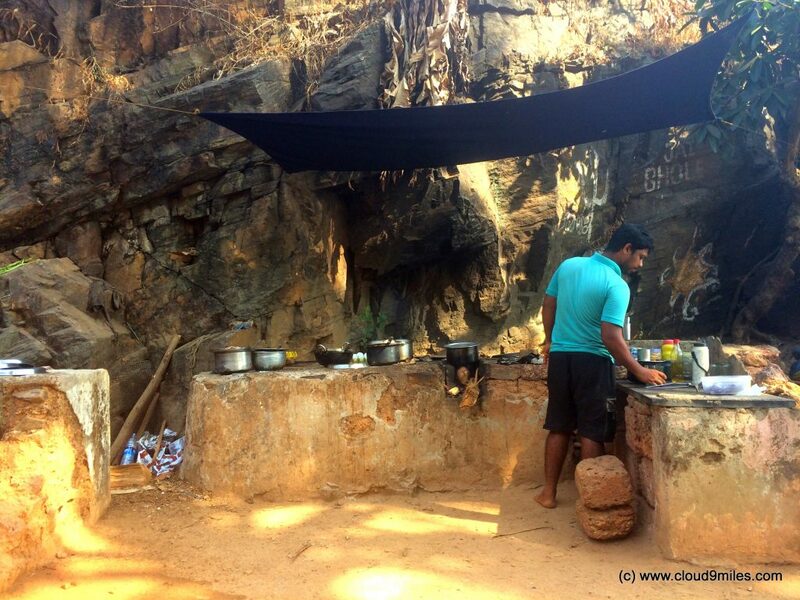 Some tourists even cook food for themselves as well. The visit to this beach was an altogether different experience and it was a separate world free from everything. 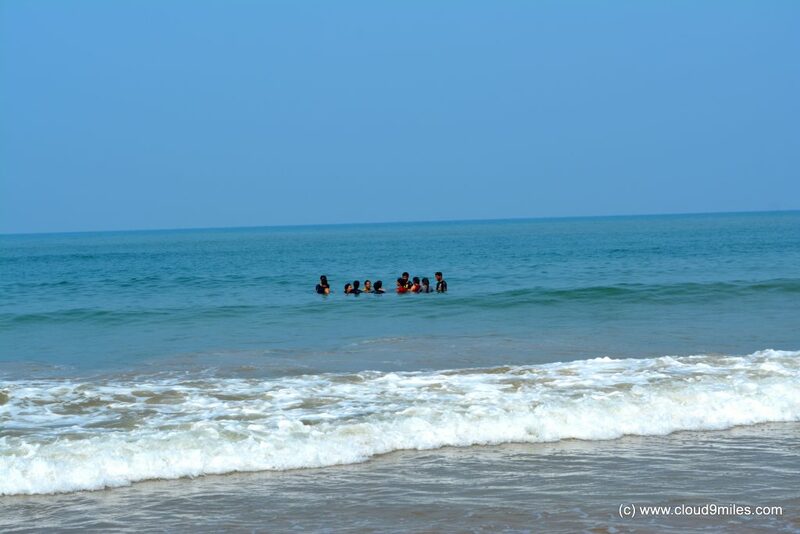 It lived upto its expectation and one can look for “Nirvana” while residing at this beach. 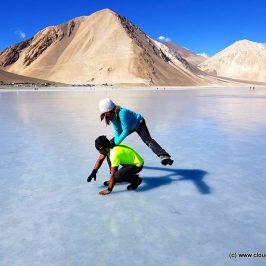 Indian tourists also visit here for overnight camping. This beach has no water activities but is ideal for swimming. After spending beautiful time on this heaven we left for overnight stay at Belekan Beach. We came back to our hut at Belekan beach and decided to camp in front of the sea. We pitched our tent and spent a beautiful evening to be greeted by an astonishing morning. 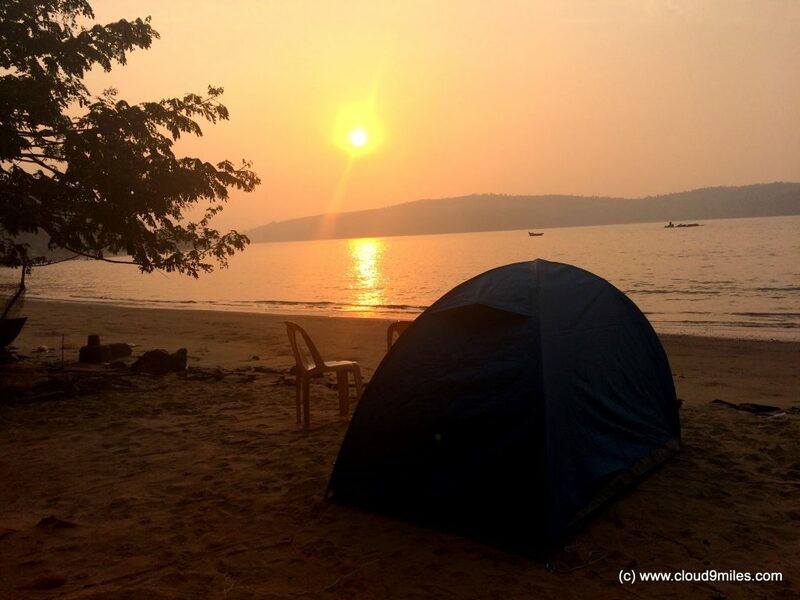 A fresh morning with a beautiful view of sunrise was a delight to the overnight camping experience. 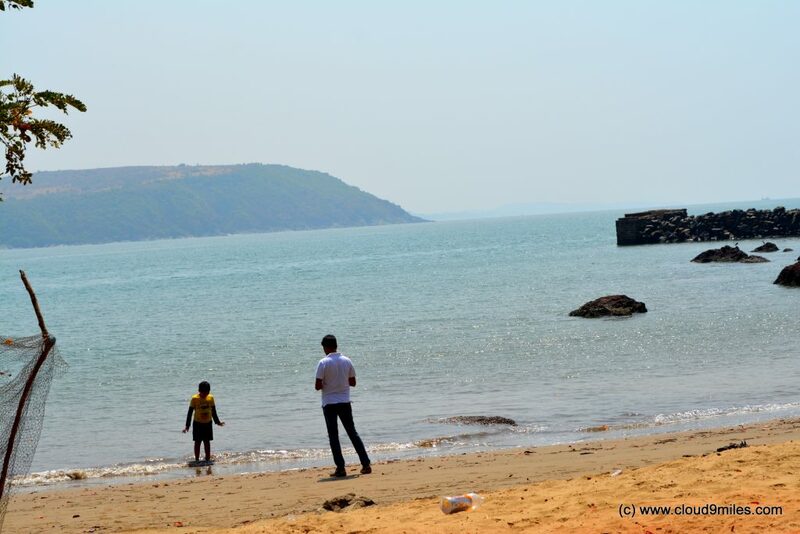 After breakfast we proceeded towards our last destination of this tour – Kudle Beach. 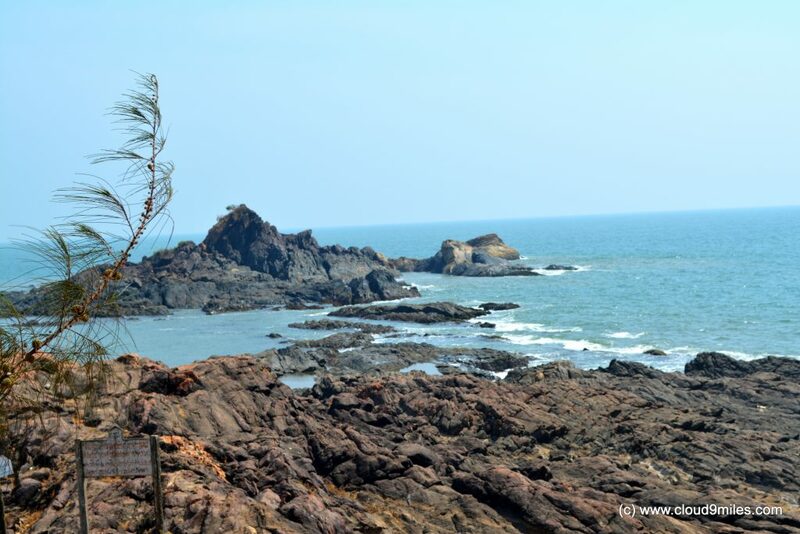 We drove through the beautiful countryside of Gokarna and every part of it was so beautiful and untouched. 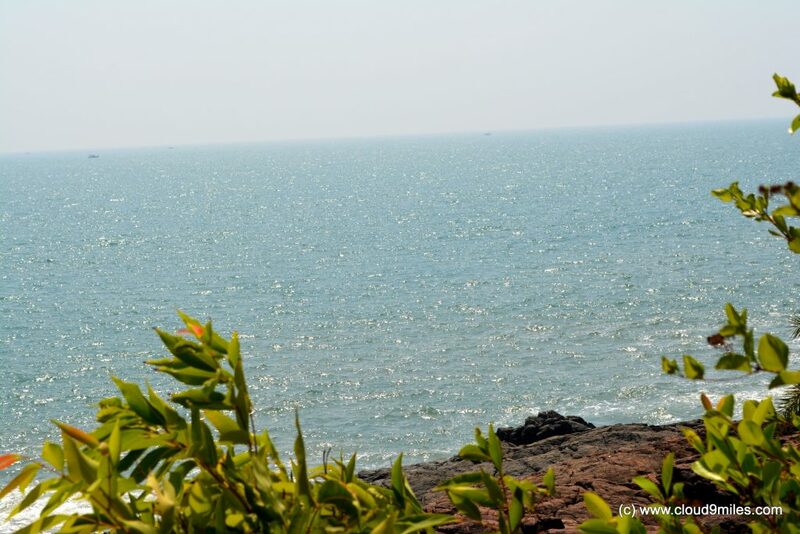 One one side we were passing through the Western Ghats and on other side there was spectacular view of Arabian Sea and virgin beaches. 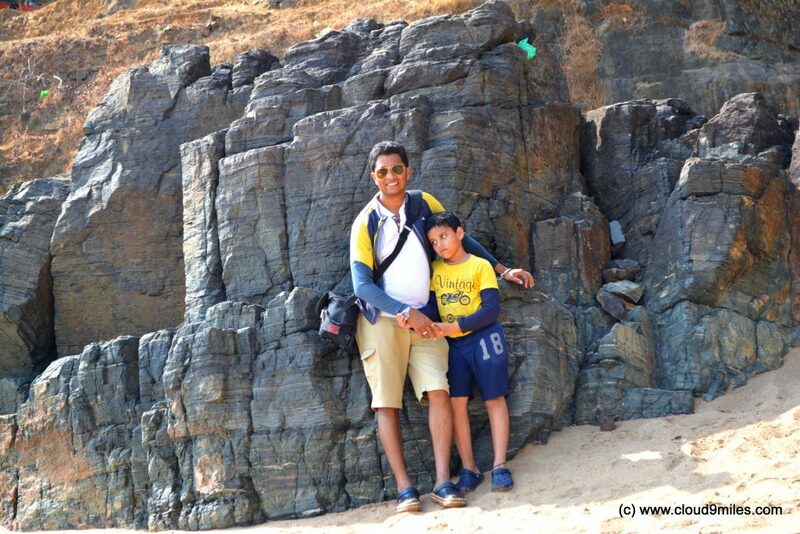 Finally after a drive of 30 minutes we reached a hill top for a final trek to Kudle Beach. 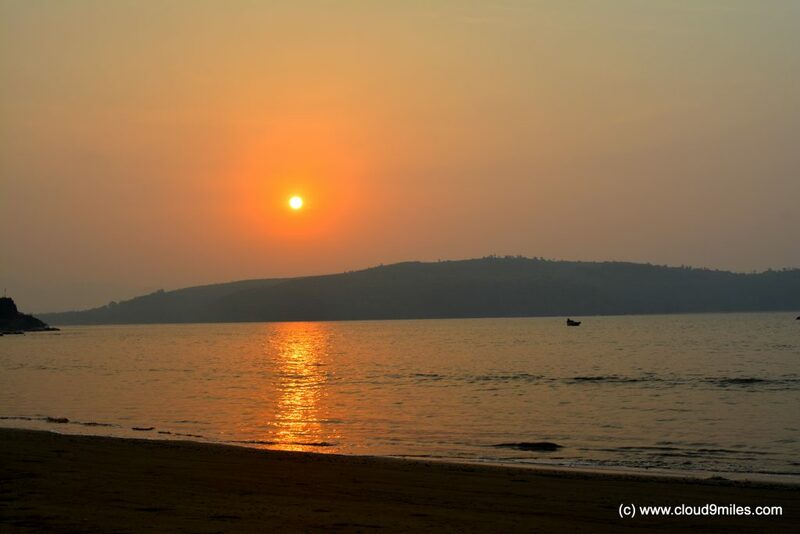 The first glance of Kudle Beach made an impression in our mind. This lovely wide cove, backed by wooded headlands, offers plenty of room to stretch out on along its attractive sands & blue waters. 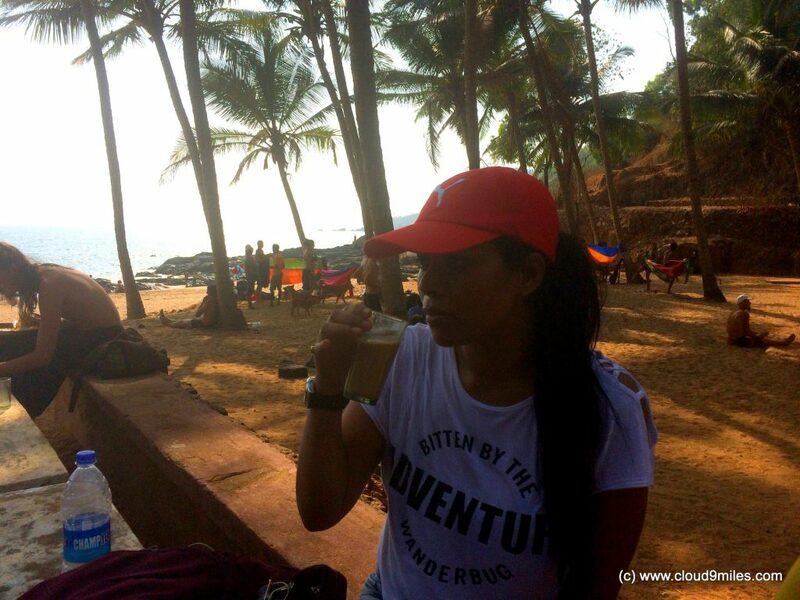 Besides the beach there were quite a few of restaurants and guesthouses looking like a relaxed replica of Goa but much more relaxing, peaceful, & attractive. 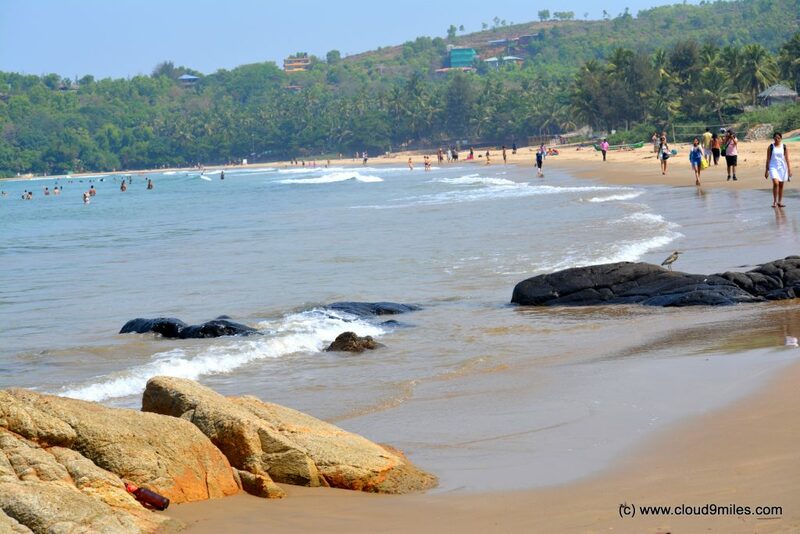 A beautiful stroll on this beach where foreign tourist were more than Indian will remain embedded in our heart and it a long visit is due on us. 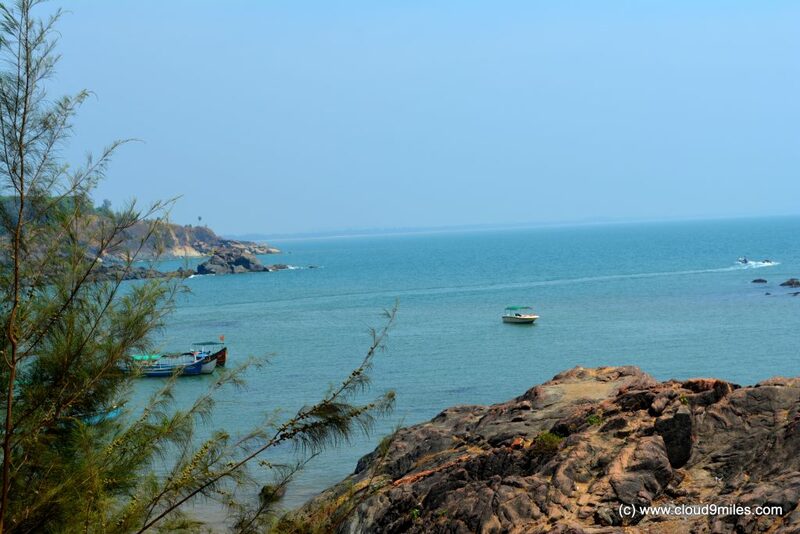 Finally, due to shortage of time we left for our journey back with beautiful memories of Gokarna. 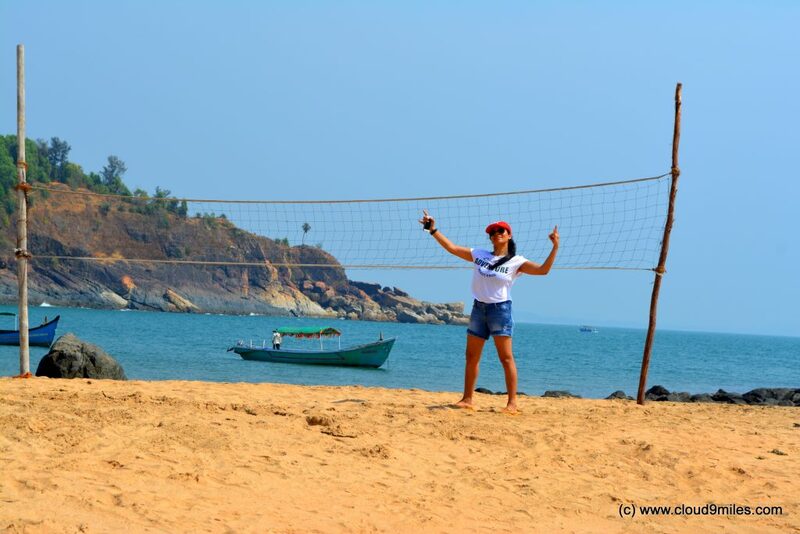 We will definitely visit again with ample time so that nothing is left out whether it is trekking to various beaches or camping at Paradise Beach or visit to fort. 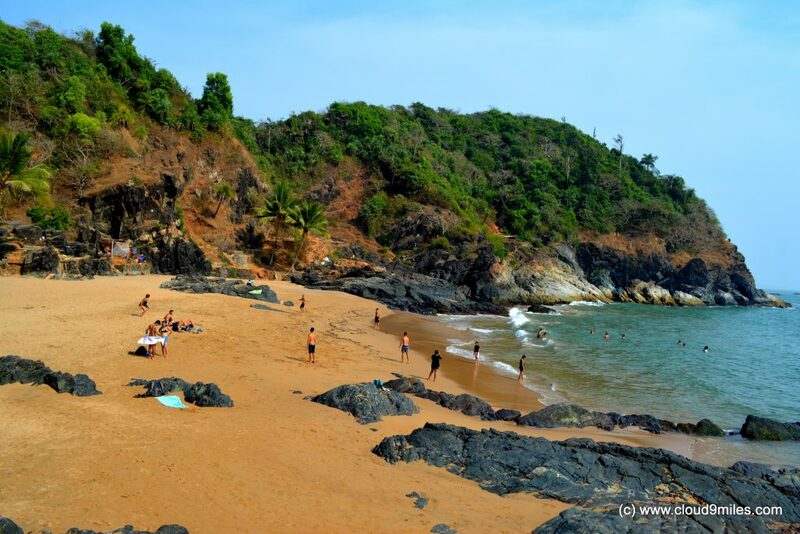 With its pristine beaches and breathtaking landscapes, Gokarna is a newly found hub for beach lovers and hippies. 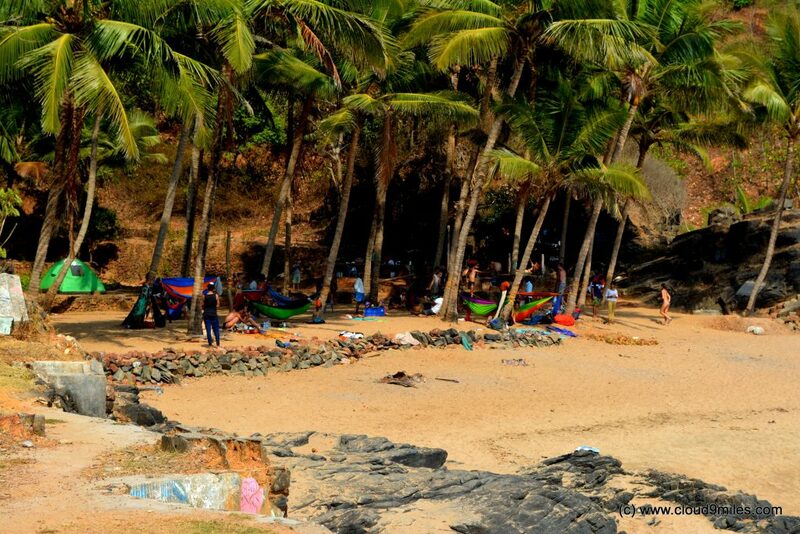 A perfect place for relaxation with palm clad beaches dotted with majority of foreign tourists with very few Indians. 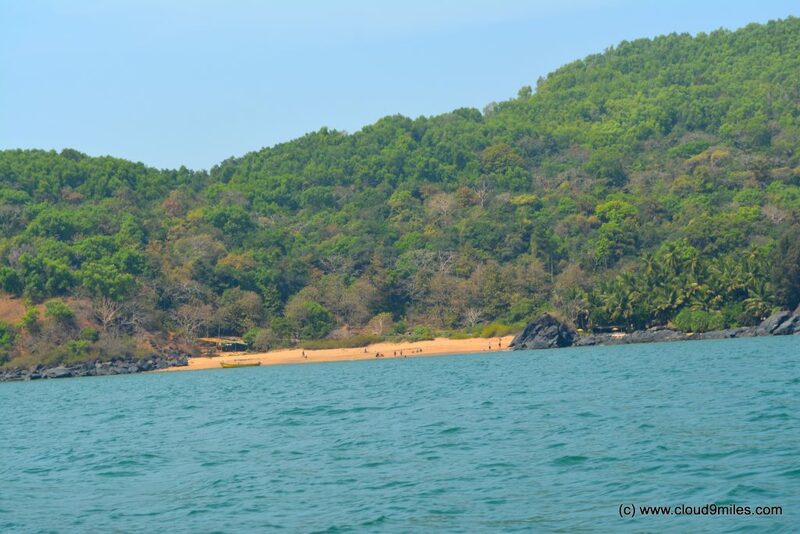 Gokarna is not very conventionally touristy but very exclusive in nature. 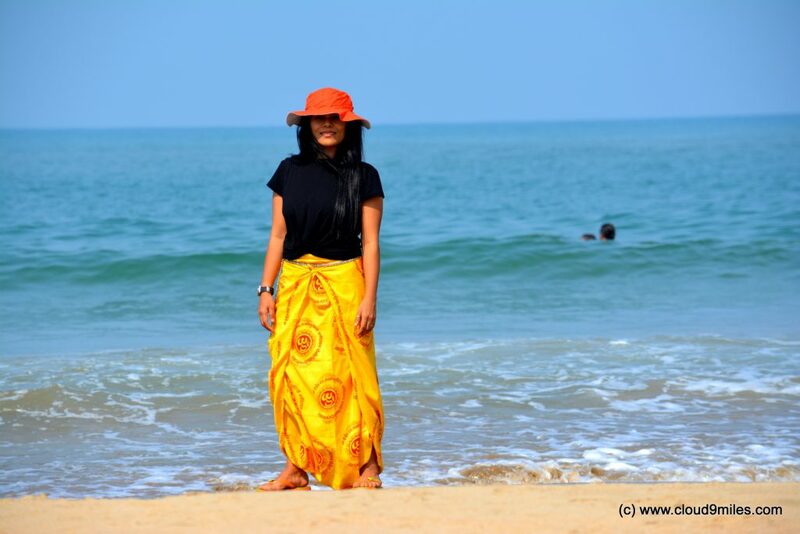 The beaches are meant for a slow, relaxed holiday and everything on the beach goes at the same relaxed pace. 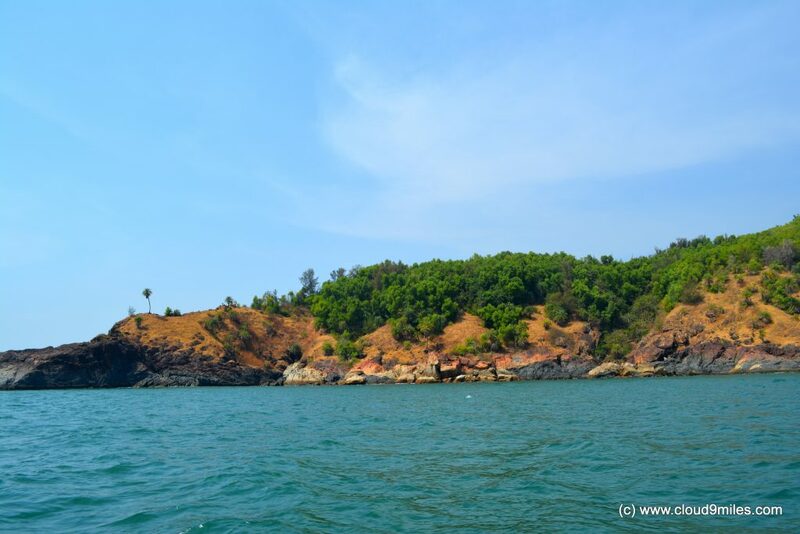 Full of coconut and palm trees, the ocean and clean sands, crystal clear blue water, Gokarna will be amongst ‘one of its kind place’ in the country. 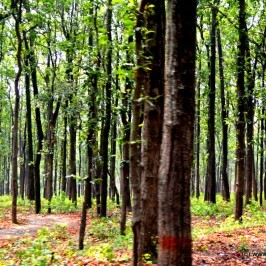 Climate: Temperature varies from 18 degree Celsius to 35 degree Celsius. Monsoon arrives in June and lasts till end of September. 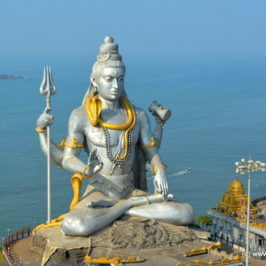 Accommodation: Murudeshwar offers wide range of accommodations options. RNS Group provides lot of accommodation option specially near the temple complex. By Air: Goa international airport is the nearest about 163 km away to the north and Mangalore is around 238 km to the south. It is connected to all major cities in the country and few destinations abroad. 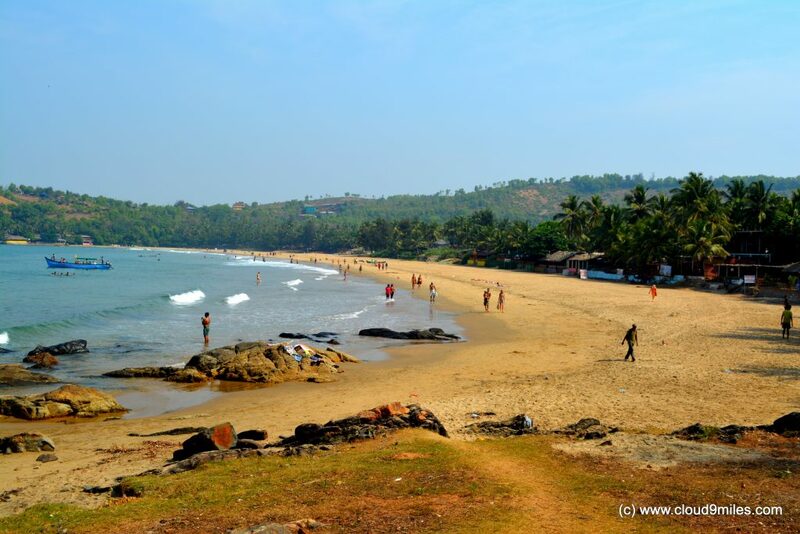 Taxis are available from the airport to reach Gokarna. 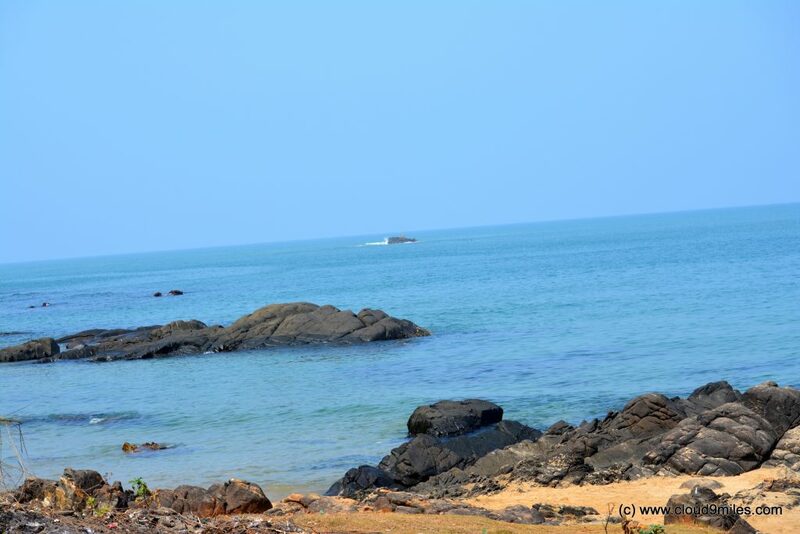 By Road: Gokarna can be reached by buses and maxicabs from Kumta (30 km), Ankola (26 km) and Karwar (59 km) on National Highway 17 (NH-17). 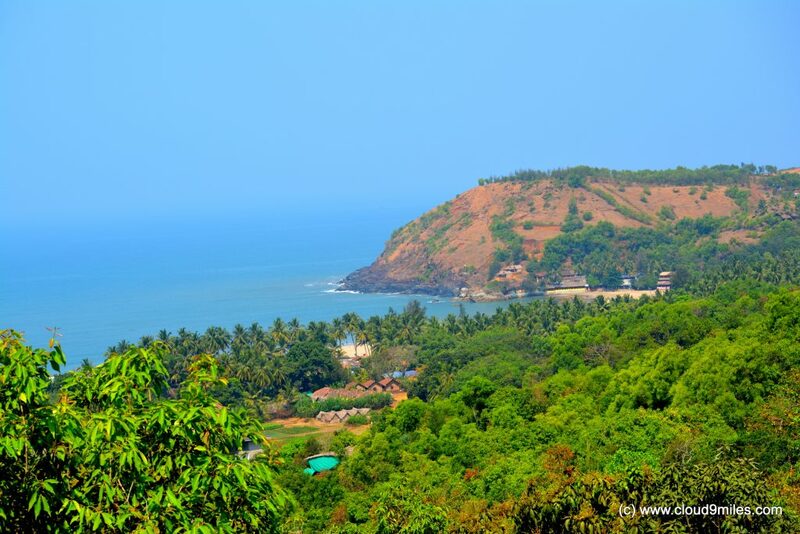 By Train: It can be reached by Konkan Railway on the Mumbai to Mangalore route or Goa to Mangalore route. The railway station (called Gokarna Road) is 6 km from the town and is well connected by busses and auto.